The Morning After: When a Nation Wakes Up to "Democracy"
Jewish Legacy: Burden or Privilege? Video: Talia Carner, Author of Jerusalem Maiden, at Boca Raton JCC . 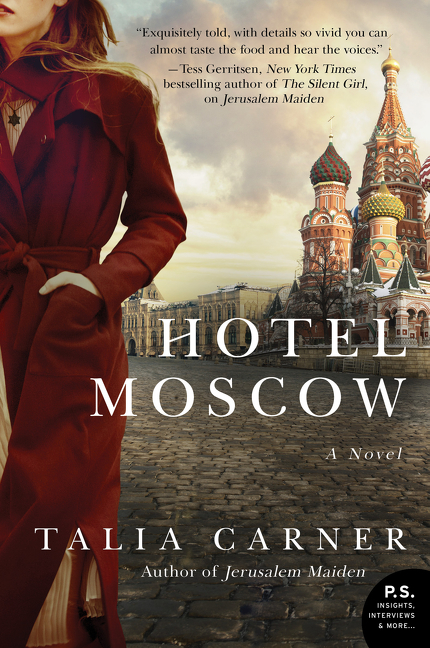 Video: Hotel Moscow by Talia Carner: Sutter Home Book Club Choice. Video: Between the Covers #115 (Talia Carner) WXEL . Video: L'Chayim: Hotel Moscow . Article: Times of Israel: Talia Carner: "Centrality of Israel to Our Jewish Identity"
Before turning to fiction writing, Talia Carner worked for Redbook magazine and served as the publisher of Savvy Woman magazine. An adjunct professor of marketing at Long Island University and a marketing consultant to Fortune 500 companies, she was a volunteer counselor and lecturer for the Small Business Administration and a member of United States Information Agency missions to Russia. 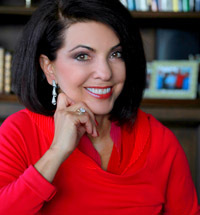 Carner's activities in women's organizations led to her participation at the 1995 International Women's Conference in Beijing, where she learned of the atrocities of The Dying Rooms -- the Chinese orphanages where the documented death rate was 80% -- and about the U.S.'s courts betrayal of molested children. While helping African women to develop a campaign against clitoridectomy, Carner was exposed to the plight of women in societies that subjected millions of girls to this brutal mutilation. Her education about violence against women continued when she assisted Indian women in a campaign to end the burning of brides over dowry disputes. A sought-after keynote lecturer at a variety of renowned organizations, Carner speaks on both universal and culture-specific issues facing today's women across the globe. Carner’s book, Hotel Moscow (William Morrow Paperbacks), is a mesmerizing and thought-provoking novel that tells the riveting story of an American woman-the daughter of Holocaust survivors-who travels to Russia shortly after the fall of communism, and finds herself embroiled in a perilous mafia conspiracy that could irrevocably destroy her life. Brooke Fielding, a thirty-eight year old New York investment manager and daughter of Jewish Holocaust survivors, finds her life suddenly upended in late September 1993 when her job is unexpectedly put in jeopardy. Brooke accepts an invitation to join a friend on a mission to Moscow to teach entrepreneurial skills to Russian business women, which will also give her a chance to gain expertise in the new, vast emerging Russian market. 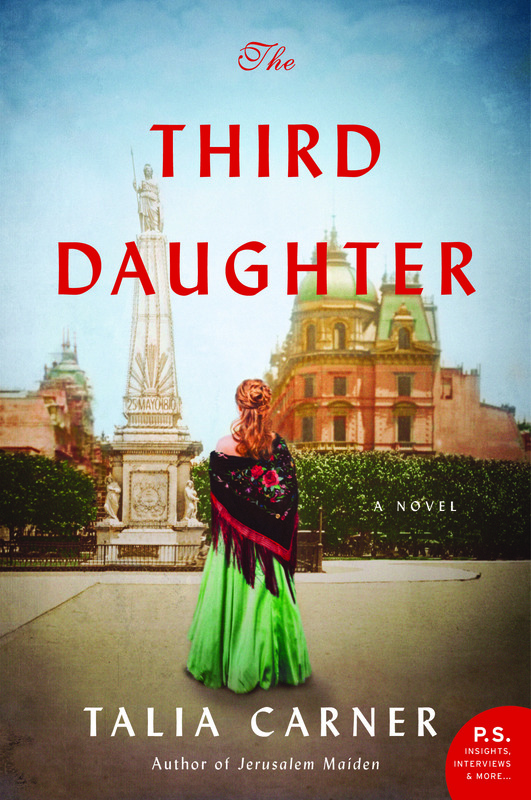 Though excited by the opportunity to save her job and be one of the first Americans to visit Russia after the fall of communism, she also wonders what awaits her in the country that persecuted her mother just a generation ago. Inspired by the women she meets, Brooke becomes committed to helping them investigate the crime that threatens their businesses. But as the uprising of the Russian parliament against President Boris Yeltsin turns Moscow into a volatile war zone, Brooke will find that her involvement comes at a high cost. For in a city where “capitalism” is still a dirty word, where neighbors spy on neighbors and the new economy is in the hands of a few dangerous men, nothing Brooke does goes unnoticed-and a mistake in her past may now compromise her future. A moving, poignant, and rich novel, Hotel Moscow is an eye-opening portrait of post-communist Russia and a profound exploration of faith, family, and heritage. Hotel Moscow won both the USA Book News award in the Multi-cultural category, and Book Excellence Award Winner in the Thriller category. Talia Carner's highly praised third novel, Jerusalem Maiden, won the Forward National Literature Award in the Historical Fiction category and is still a favorite among book groups. Set at the end of the Ottoman Empire rule of the Holy Land in the early 1900’s, Jerusalem Maiden is the story of a young woman destined to be married shortly, when she discovers her talent for art. Since visual expression is against the Second Commandment, “thou shalt not make any graven image,” she begins her lifelong struggle between passion and faith. In the early 1980s, while at Redbook magazine, Carner was the first to define the characteristics of female baby-boomers as having a later marriage-age and being more educated, career-oriented, and health- and civic-conscious than their older counterparts. While the publisher of Savvy Woman magazine -- then only one out of four women to head a major American magazine -- she was the first to document the demographics of female business owners. Launching her own marketing consulting firm to Fortune 500 companies, Carner commissioned independent research and opened a nationwide debate on the definition of entrepreneurship, a debate that ultimately established the White House Oversight Committee and brought changes to the way the Office of Labor Statistics gathered and analyzed data about husband-wife business ownership. In 1993, on Carner's second U.S. Information Agency (USIA) mission to Russia to teach entrepreneurial skills to women, she was caught in the uprising of the parliament against then-president Boris Yeltsin. Her report to the USIA about her escape was the seed for Hotel Moscow. Carner's first published novel, Puppet Child, was listed in BookBrowse.com's "Top 10 Favorite First Novels 2002" and won her an Outstanding Author Award from BookReviewCafe.com. The novel launched The Protective Parent Reform Act, a law now passed in several stares and under consideration in many others, and has become the platform of two State Senatorial candidates. Her second novel, China Doll,, was the platform for her 2007 presentation at the U.N. about infanticide in China -- the first in U.N. history. In addition to published articles on issues of family court, infanticide in China, and women's plights in developing societies, Carner's award-winning personal essays have appeared in The New York Times, Chocolate for Women , Cup of Comfort and Chicken Soup anthologies, as well as The Best Jewish Writing 2003. Her short stories have been published in literary magazines such as Midstream, Lynx Eye, River Sedge, Moxie, Lilith, Rosebud, Confrontation, and North Atlantic Review. 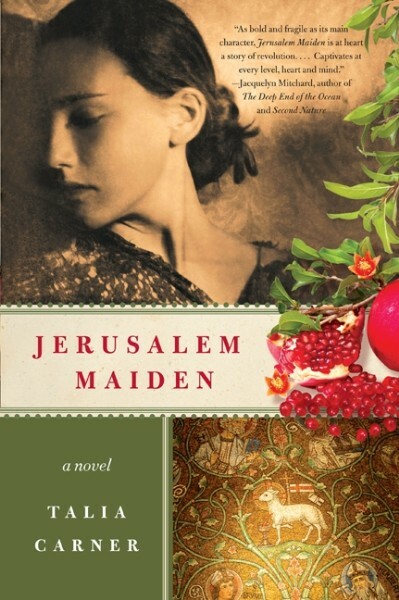 An excerpt from Jerusalem Maiden is included in The Best New Writing 2011 as the "Editor's Choice Award." A 7th generation Sabra born in Tel Aviv, Israel, Carner served in the Israel Defense Force (IDF.) She received a a B.A. from Hebrew University in Jerusalem in psychology and sociology and a master's degree in economics from the State University of New York at Stony Brook. Carner is a board member of Hadassah-Brandeis Institute, the Jewish women research center at Brandeis University. She is also an honorary board member of several anti-domestic violence and child abuse prevention organizations. She and her husband, Ron, have four grown children. The couple lives in Bridgehampton, Long Island and in Manhattan, New York. "[Talia Carner] far exceeded our expectations ... We were so impressed with [her] topic, delivery and general attitude that many of us bought [her] books and are selecting China Doll in one of our monthly book discussions." "Our members raved equally about [Talia Carner's] grace and [her] captivating speech." -- Harriet Malbin, Director, Lifetime Learners, Norwalk, CT.
"Talia Carner was one of the most intelligent and engaging speakers we've ever had. Her vast knowledge and her intriguing story kept the audience riveted and begging for more. We can't wait to have her back." "You held the audience in the palm of your hands. They were totally immersed in the subject matter. I received many laudatory phone calls today from your new 'fans." "Your extra-ordinary, vivid presentation provided insight into your work and was the topic of conversation for days after your visit. You are an inspiration to all of us." "Our audience is still raving about your gracious presentation. You made this day so successful...."
"...we were greatly enriched by your thoughts, ideas and insights, as well as the stand you take for women's rights worldwide. It is remarkable to see all that you do. I stand in awe!" "Talia’s ability to share such visual accounts and her passion for the subject and research made everyone transfixed....."
"You were a complete success! From the moment you ascended to the podium, you commanded the attention of everyone. One could hear a pin drop ...."
"The Book & Author event was a huge success in every way.... Members thanked me for the best event we've ever had. Your presentation was captivating!" "You far exceeded our expectations.... We were so impressed with your topic, delivery, grace and general attitude." "Your visit to our community was like a delicious box of chocolates. We wanted to savor each and every moment.... you were warm, gracious and charming. The ladies relished the evening and the talk was fantastic."